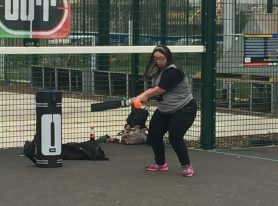 Over the past few months we have been delighted to forge a partnership with Sutton Mencap, providing opportunities for some young adults with learning difficulties to enjoy Cage Cricket. 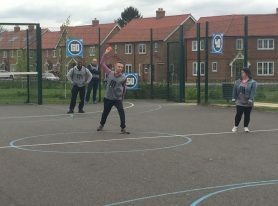 At the first session at Tadworth Leisure Centre the players showed tremendous resilience and commitment to throw themselves into the game in very chilly conditions. 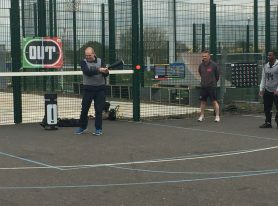 Since then, the sessions have been equally successful at the organisation’s base in Sutton. 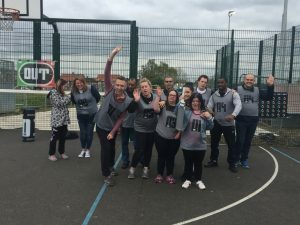 And we are looking forward to being able to deliver more sessions over the summer.